Celebrate the holiday season with SJZ at Jazz Wednesdays @ Christmas in the Park which features a new artist each week culminating in the SJZ High School All Stars Big Band’s performance at Season of Hope. These special weekly concerts run from November 28 to December 19. Opening the event is the Valley Christian High School Jazz Ensemble. In 2006, members of the Jazz Ensemble were instrumental in the creation of the Valley Christian Conservatory of the Arts, the first conservatory-model training program in the San Francisco Bay Area. Under the direction of Dr. Wolfe, the Jazz Ensemble has placed first in an international competition, The Downbeat Magazine Student Music Awards, won first overall at the Reno Jazz Festival, Sweepstakes Winner at the Folsom Jazz Festival, Outstanding Jazz Ensemble and Combo at the Lionel Hampton Jazz Festival, and has been invited to perform at the Monterey Next Generation Jazz Festival twice. Graduates of the Valley Christian Jazz Ensemble have gone on to succeed at highly competitive college music programs in the United States including the University of North Texas, Stanford, The San Francisco Conservatory of Music, the Juilliard School, NYU, The New School, Eastman and San Jose State University. 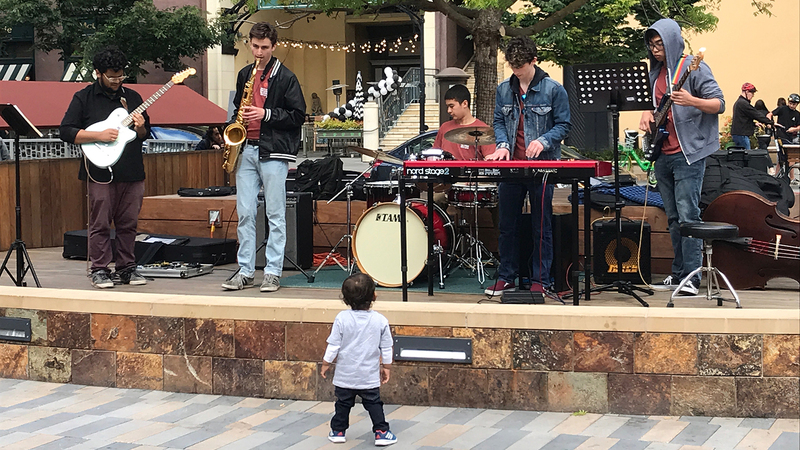 Headlining the event is a select group of the San Jose Jazz High School All Stars, the SJZ U19s which feature San Jose Jazz’s finest young musicians in a small combo setting. This smaller combo represents a self-curated endeavor that allows the musicians to truly express themselves. With the 2018-19 combo auditions recently completed, this will be group’s second performance together.